Enco Pest Control is a family owned and operated company and understands the importance of offering personalized service for any size job. 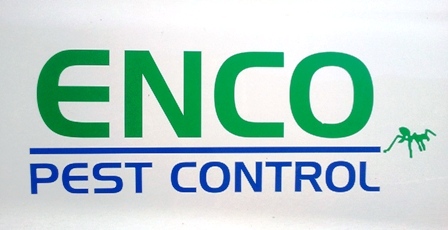 With over thirty years of experience under our belts, Enco Pest Control know how to handle what’s bugging you! From rodents to ants to everything in between, let us take care of you with guaranteed customer satisfaction or it’s on us! We offer free estimates, same day service, and prices that nobody dare compete with! We only hire state certified and highly trained technicians to our team to ensure you’re taken care of the first time. Enco strives to be on the cutting edge of technology. We have Android phones in the field that allow us to be accessible and wired with all the tools we need and to be able to communicate with our clients at moments notice. Each one of our trucks is an entire owner / operator mobile office. We have all the tools and resources when arrive onsite to research/quote and complete all of our business. Here to service your pest needs. Copyright © 2012 Enco Pest Control. All Rights Reserved.